Speedcar offer three distinctive products in the world of both tarmac and gravel motorsport. This spans from autocross gravel racing to the more traditional hillclimb sprints. We can provide a range of vehicles to cater for tastes and variations of motorsports ensuring there is something for each and every one of our valued customers. 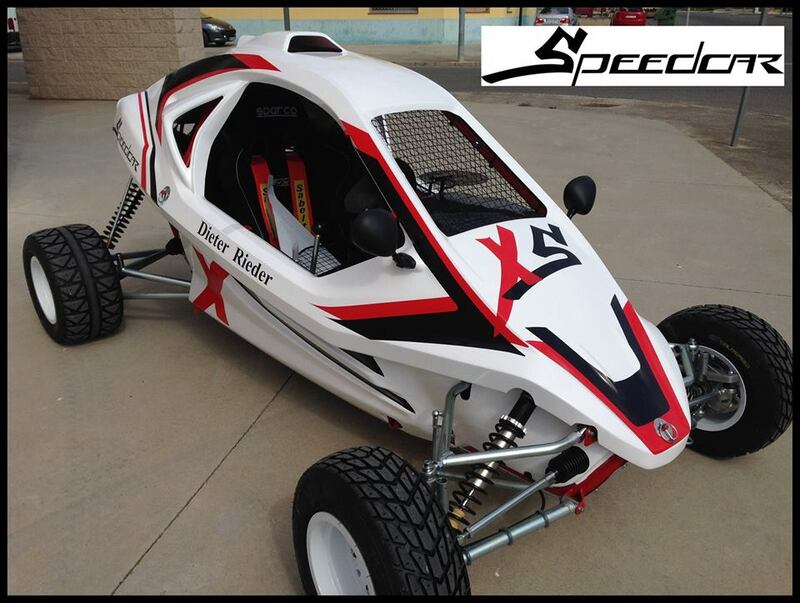 The Speedcar Xtrem, our most popular product, is a 600cc Suzuki engined buggy. The 16 valve engine is electronically fuel injected by two injectors per cylinder. A 4-2-1 exhaust with Acrapovik silencer allows for the Suzuki engine to produce a staggering 120 bhp which is more than enough power when coupled with a chassis that weighs just 312 kg. The Xtrem comes with a 6 speed close ratio gearbox, Brembo brakes on the front and rear and Ollé ¨ydraulic adjustable shock absorbers. 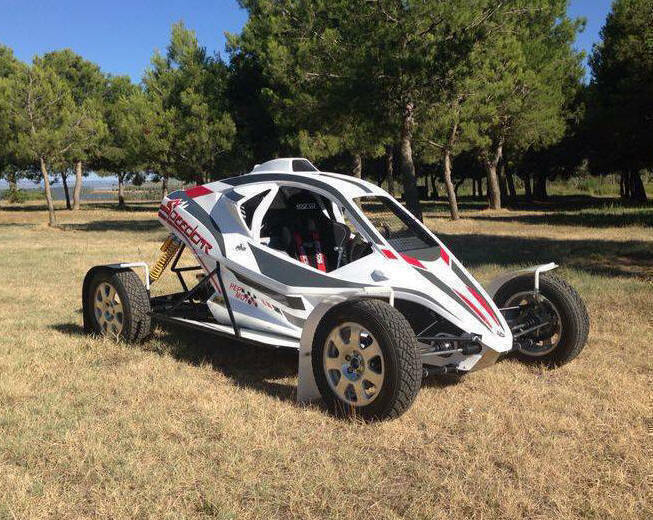 This Speedcar Xtrem is not just quick in a straight line but stops and handles precisely and efficiently making it a suitable option for racing and rallying on both gravel and tarmac. 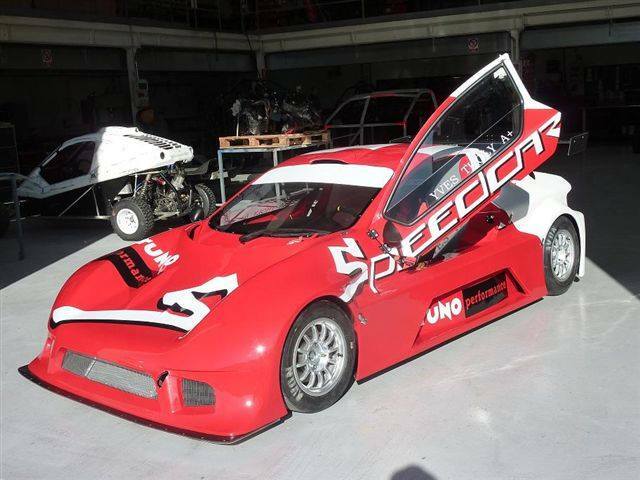 The Speedcar GTR, is a single-seater, spaceframe chassis that weighs under 500kg which means that is the perfect car for competing in hillclimb and circuit sprints. A 1000cc Suzuki motorcycle engine that is mounted in the rear of the car sends power directly to the rear wheels producing 168.1 bhp. The power is transmitted through a 6 speed, close ratio gearbox and also a limited slip differential to give you optimal handling performance. The GTR uses Brembo disk brakes on all four corners of the car and double wishbone, 3 way adjustable suspension. The Speedcar GTR is the perfect sprint car as blistering acceleration and delicate steering making it a serious competitor. The third product in the Speedcar range is the 1300cc Hayabusa engined Speedcar TTX which, like the Xtrem, is perfect for both gravel and tarmac racing and rallying. Weighing in at 480 kg the TTX is considerably heavier than the Xtrem but with the Hayabusa engine producing 185 bhp as standard the power to weight ratio of this machine is not to be ignored. Again a double wishbone, 3 way adjustable Ollé � shock absorber system is employed which does not fall short when it comes to cornering. The Speedcar TTX is definitely a contender in any event whether it be on a race circuit or the loose of a rally stage but it will take a brave and skilled driver behind the wheel to get the maximum out of this extreme option. For more information on any of the products displayed here do not hesitate to contact us!